I purchased this entire set. The nighstands came fully assembled. The drawers slide easily in and out amd it is overall good quality. The only thing I would change is the depth of the top drawer. It is a bit too deep for me. Makes it difficult to reach in from a sitting position while in bed. Otherwise it’s perfect. 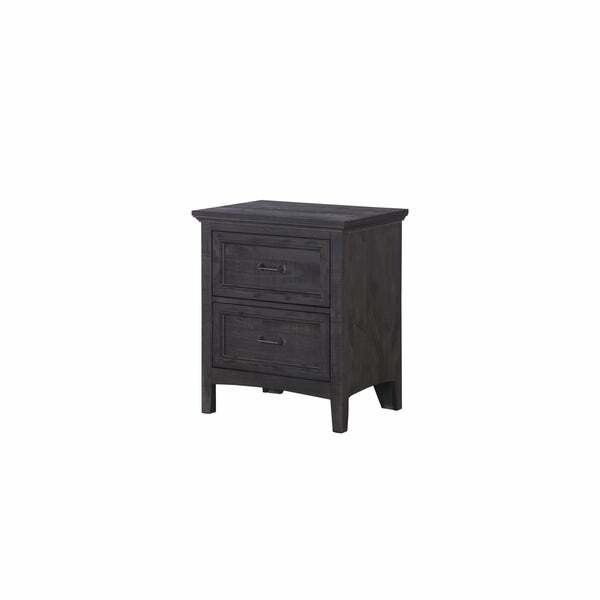 Put your favorite book beside your bed on this two-drawer nightstand. This furniture piece comes with all of the hardware you need to assemble it when it arrives. Nice look and built solid.